PARIS (Reuters) - The French space agency is to publish its archive of UFO sightings and other phenomena online, but will keep the names of those who reported them off the site to protect them from pestering by space fanatics. Jacques Arnould, an official at the National Space Studies Center (CNES), said the French database of around 1,600 incidents would go live in late January or mid-February. He said the CNES had been collecting statements and documents for almost 30 years to archive and study them. "Often they are made to the Gendarmerie, which provides an official witness statement ... and some come from airline pilots," he said by telephone. Given the success of films about visitations from outer space like "E.T. ", "Close Encounters of The Third Kind" and "Independence Day", the CNES archive is likely to prove a hit. It consists of around 6,000 reports, many relating to the same incident, filed by the public and airline professionals. Their names would not be published to protect their privacy, Anould said. Advances in technology over the past three decades had prompted the decision to put the archive online, he said, adding it would likely be available via the CNES website www.cnes.fr. WHAT: The new documentary FASTWALKERS and EXOPOLITICS (n. "The science of relations between human society and other intelligent societies in the Universe.). Following a successful Fastwalkers World Premiere Event in Show Low, Arizona USA plans are being made to hold an Fastwalkers Greater Arizona Premiere event in mid to late February 2007. Exopolitics Toronto will hold and an exclusive Canadian screening debut of FASTWALKERS produced by Robert Miles and Bruce Jessop, Directed by Anthony T. Miles on Wed March 7, 2007. Location: De La Salle Oaklands Theatre Auditorium 131 Farnham Road in Toronto Ontario Canada. VANCOUVER, B.C. - This article summarizes the evidence upon which to hypothesize that the Asian Tsunami of December 26, 2004 (Boxing Day) may have been caused by gravity waves which accompanied a gamma ray burst caused by the explosion of a Neutron Star in the Constellation Saggitarius, some 45,000 light years from Earth. The article also summarizes analysis of whether the December 26, 2004 event may be an indicator that a cyclical Galactic Superwave event, recurrent every 13,000 and 26,000 years, is overdue and may occur precipitously in the near term future. The Mayan Calendar's current TUN, or organic unit of Galactic time, ends on December 21, 2012. According to one analyst, "both our species' recent history and that of the crust of our planet, have been both gradual and catastrophic. However, the catastrophes are of first and most immediate concern, since they relate to periodic "superwaves" or volleys of cosmic rays from the Galactic Center itself. The Galactic Center is an incredibly superdense region only about as big as the sphere enclosing Jupiter's orbit: it is about 23,000 light-years away in the constellation of Sagittarius." Others analyze the 13,000 and 26,000 year cycles of the Galactic Superwaves in the context of spiritual and prophetic texts. Under the Mayan Calendar, this TUN, or organic unit of Galactic time is scheduled to end and a new TUN is scheduled to begin on December 21, 2012. According to the "Prophetic" frame of perception, the December 26-27, 2005 Gravity Wave/Tsunami was a Warning that humanity should move out of a permanent warfare economy into a peaceful, sustainable, cooperative, Universe-oriented Space Age society, seeking to integrate with Universe society. This observor writes: "What could be coming from the sky to earth that the Star People are symbolized above being in between? There is only one thing, that even Plato said descends from the heavens after long periods of time like a pestilence. It has a modern name, given by the scientist that has researched this phenomena, Dr Paul LaViolette. It is called: A Galactic Superwave. "Stanford had said years back: But there shall come a sign that is a warning. This is related also, in part, to the energization of the ionosphere of the earth. In it, or related to it, there shall appear an "apparition" that will symbolize the way in which men have turned to materialism and to selfishness - in a sense, to death. It shall symbolize the choice that is represented in that recorded of old, "In this day I stand between the living and the dead." That may be seen of all men. Still, by jaded mind, science shall be inclined to dismiss it as natural events and phenomena. But it shall be symbolic, in a sense, of the judgment of the earth, of the karmas, the retribution to come in the earth, that is mind created. So then, science misses the point behind the event?" In this light, the development of Exopolitics at this juncture in human history seems fortuitous, "just in time." (See: EXOPOLITICS: POLITICS, GOVERNMENT AND LAW IN THE UNIVERSE, available online at: http://www.filamentbooks.com/) The Exopolitics model postulates the Earth resides is a populated, organized Universe, operating under Universal law, with forms of Universal governance, and mediated by the processes of Universe politics amongst its constituent civilizations. Exopolitics provides an institutional and educational bridge for integrating Earth into Universe society. Is one central reason for the outreach of the UFO phenomenon since 1947 to prepare human society for this integration, knowing that the stress of a cyclical Galactic Superwave event would occur by 2012, hypothetically? If there is any truth to this hypothesis, then Exopolitics is the discipline that human society requires to implement that integration - politically, socially, legally, constitutionally, ethically, and Spiritually. In fact solutions to the ecological, social, and personal stress caused by phenomena such as global warming and possible Galactic Superwaves may lie in an Exopolitical future, in which we in human society decide to integrate other spiritually advanced Off-Planet cultures now in the Earth's environment and willing to integrate with us. 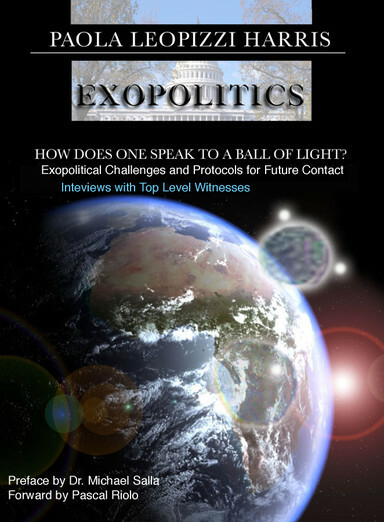 Two specific programmes proposed by Exopolitics are (1) A Decade of Contact in the form of an open period of public education, science, community participation, and media/communications about our populated Universe and (2) A Star Dreams Initiative for public interest diplomacy with Off-Planet Cultures designed to establish the infrastructure for our integration into Universe society. It has not been determined to a certainty that Galactic Gravity Waves caused the December 26, 2004 Tsunami and the many Earth Changes we are witnessing at this time, and which are documented in this article. Nor do we know for a certainty when any Galactic Superwave will strike with the next 10 years, be that on March 6, 2005, as one observor hypothesizes, or before December 21, 2012, or even in this Century. But we do know enough just in the articles and Links set out here that we must transform to a peaceful Space Age society. Is the Galactic Superwave a form of the War Against the Asteroids, another strategic deception operation to derail humanity away from transforming the permanent warfare state? That is doubtful - The papers below are based on science, and an Exopolitical strategy of reaching out to Universe society seems healthy, sane, ethical and Agape-based, not a strategy based on deception. PAUL A. LaVIOLETTE, PH.D, is author of The Talk of the Galaxy, Earth Under Fire, Genesis of the Cosmos (Beyond the Big Bang), Subquantum Kinetics, and editor of A Systems View of Man. He has also published many original papers in physics, astronomy, climatology, systems theory, and psychology. He received his BA in physics from Johns Hopkins, his MBA from the University of Chicago, and PhD from Portland State University and is currently president of the Starburst Foundation, an interdisciplinary scientific research institute. Paul LaViolette has an ongoing interest in metaphysics, mysticism, and music. He has served as a solar energy consultant for the UN, Greek government, and Club of Rome Goals for Mankind Project and has also consulted Fortune 500 companies on ways of stimulating innovation. Research he conducted at Harvard School of Public Health led him to invent an improved pulsation dampener for air sampling pumps. Related work led him to develop an improved life-support rebreather apparatus for protection against hazardous environments and for which he received two patents. Recognized in the Marquis Who's Who in Science and Engineering, Dr. LaViolette is the first to predict that high intensity volleys of cosmic ray particles travel directly to our planet from distant sources in our Galaxy, a phenomenon now confirmed by scientific data. He is also the first to discover high concentrations of cosmic dust in Ice Age polar ice, indicating the occurrence of a global cosmic catastrophe in ancient times. Based on this work, he made predictions about the entry of interstellar dust into the solar system ten years before its confirmation in 1993 by data from the Ulysses spacecraft and by radar observations from New Zealand. He also originated the glacier wave flood theory that not only provides a reasonable scientific explanation for widespread continental floods, but also presents a credible explanation for the sudden freezing of the arctic mammoths and demise of the Pleistocene mammals. Also he developed a novel theory that links geomagnetic flips to the past occurrence of immense solar flare storm outbursts. He is the developer of subquantum kinetics, a novel approach to microphysics that not only accounts for electric, magnetic, gravitational, and nuclear forces in a unified manner, but also resolves many long-standing problems in physics such as the field singularity problem, the wave-particle dualism, and the field source problem, to mention a few. Moreover based on the predictions of this theory, he developed an alternative cosmology that effectively replaces the big bang theory. In fact, in 1986, he was the first to cast doubt on the big bang theory by showing that it makes a far poorer fit to existing astronomical data when compared to this new non-expanding universe cosmology. The subquantum kinetics cosmology also led him to make successful predictions about galaxy evolution that were later verified with the Hubble Space Telescope. Dr. LaViolette is credited with the discovery of the planetary-stellar mass-luminosity relation which demonstrates that the Sun, planets, stars, and supernova explosions are powered by spontaneous energy creation through photon blueshifting. With this relation, he successfully predicted the mass-luminosity ratio of the first brown dwarf to be discovered. In addition, Paul LaViolette has developed a new theory of gravity that replaces the deeply flawed theory of general relativity. Predicted from subquantum kinetics, it accounts for the electrogravitic coupling phenomenon discovered by Townsend Brown and may explain the advanced aerospace propulsion technology utilized in the B-2 bomber. He is the first to discover that certain ancient creation myths and esoteric lores metaphorically encode an advanced science of cosmogenesis. His contributions to the field of Egyptology and mythology may be compared to the breaking of the Rosetta Stone hieroglyphic code. "Galactic core outbursts are the most energetic phenomenon taking place in the universe. The active, quasar-like core of spiral galaxy PG 0052+251 (Figure 1-a), for example, is seen to radiate 7 times as much energy as comes from all of the galaxy's stars. Most of this is emitted in the form of high energy cosmic ray electrons accompanied by electromagnetic radiation ranging from radio wave frequencies on up to X ray and gamma ray frequencies. "A study of astronomical and geological data reveals that cosmic ray electrons and electromagnetic radiation from a similar outburst of our own Galactic core (Figure 1-b), impacted our Solar System near the end of the last ice age. This cosmic ray event spanned a period of several thousand years and climaxed around 14,200 years ago. Although far less intense than the PG 0052+251 quasar outburst, it was, nevertheless, able to substantially affect the Earth's climate and trigger a solar-terrestrial conflagration the initiated the worst animal extinction episode of the Tertiary period. "LaViolette's research suggests that the Sun also became highly active as dust and gas falling onto its surface induced extreme flaring activity. Together with the radiation influx from the Sun's dust cocoon, this caused the Sun's corona and photosphere to inflate, much as is observed today in dust-choked stars called "T Tauri stars." These various solar effects caused atmospheric warming and inversion conditions that facilitated glacial growth which brought on ice age conditions. On occasions when the solar radiation influx to the Earth became particularly high, the ice age climate warmed, initiating episodes of rapid glacial melting and continental flooding. There is evidence that one particularly tragic solar flare event occurred around 12,750 years ago during a period when the Sun was particularly active. This involved the release of an immense coronal mass ejection which engulfed the Earth and induced a mass animal extinction. "Dr. LaViolette, who is currently president and chief researcher of the Starburst Foundation, was the first to demonstrate that cosmic rays from a galactic core explosion penetrate far outside a galaxy's nucleus to bombard solar systems like our own residing in the spiral arm disk. He coined the word "galactic superwave" to refer to such a cosmic barrage. He has shown that galactic superwaves recur at long intervals and arrive at Earth's doorstep without warning because they travel at near light speed. "Galactic superwaves are a recent discovery. During the early 60's astronomers began to realize that the massive object that forms the core of our Galaxy (the Milky Way), periodically becomes active. (9) The cores of all spiral galaxies cycle through a similar phase. During its active period, our galactic core spews out a fierce quasar-like barrages of cosmic rays, with a total energy output equal to hundreds of thousands of supernova explosions. (10, 11) In some galaxies these active emissions have been observed to equal the energy from billions of supernova explosions. "Until recently, astronomers believed these eruptions were very infrequent, occurring every 10 to 100 million years. (10) They also believed the interstellar magnetic fields, in the Galactic nucleus, would trap the emitted particles in spiral orbits causing them to reach the Earth very slowly. (12) For these reasons, many did not believe that Galactic core explosions posed any immediate threat to the Earth. 1. Galactic core explosions actually occur about every 13,000 - 26,000 years for major outbursts and more frequently for lesser events. 2. The emitted cosmic rays escape from the core virtually unimpeded. As they travel radially outward through the Galaxy, they form a spherical shell that advances at a velocity approaching the speed of light. "Astronomical discoveries subsequently confirmed aspects of Dr. LaViolette's hypothesis. In 1985, astronomers discovered that Cygnus X-3, an energetic celestial source of cosmic rays, which is about the same distance from Earth as the Galactic Center (25,000 light years), is showering Earth with particles, traveling at close to the speed of light, moving in essentially straight paths. (13) Later, scientists found the Earth is impacted, at sporadic intervals, with cosmic rays emitted from the X-ray pulsar Hercules X-1 (about 12,000 light years distant). (14, 15) The intervening interstellar medium has so little effect on these particles, that their pulsation period of 1.2357 seconds, is constant to within 300 microseconds. For a listing of related theory predictions and their verification click here. "Today, tomorrow, next week, next year. . . sometime in the coming decades. . . our planet could once again be hit by an intense volley of Galactic cosmic rays. It will come cloaked and hidden from us, until the very moment it strikes. We live on the edge of the Galaxy's volcano. Knowing neither the time, the magnitude, nor the severity of the next eruption or its impact on our environment, we stand unprepared to deal with this event, much less anticipate its arrival. "When cosmic rays from Galactic superwaves impact the Earth's atmosphere, they produce "electron cascades." Each primary cosmic ray generates millions of secondary high energy electrons. Many of these particles scatter upwards and become trapped by the Earth's magnetic field to form radiation belts similar to those created by high altitude nuclear explosions. In just one day, a major Galactic superwave event would inject into the geomagnetic field a particle energy equivalent to 1000 one-megaton hydrogen bomb explosions (1025 ergs). At this rate, the energy delivered to the belts after one year would exceed 30,000 times the energy received from the most powerful solar cosmic ray storms observed in modern times. "Such energized radiation belts could cause a global communications blackout by creating radio static and by permanently damaging critical electronic components of communication satellites. Air travel during such conditions would be extremely hazardous. The resulting atmospheric ionization would destroy the ozone layer, and increase skin cancer rates, due to high levels of UV reaching the Earth's surface; the cosmic ray particles penetrating to ground level would significantly increase cell mutation rates. "Galactic superwaves may also produce an intense electromagnetic pulse (EMP) whenever a cosmic ray front happens to strike the Earth's atmosphere. Galactic superwaves such as those that arrived during the last ice age could have generated pulses delivering tens of thousands of volts per meter in times as short as a billionth of a second, comparable to the early-time EMP signal from a high-altitude nuclear explosion (see Figure 3). "In addition, there is the danger that a superwave could transport outlying cosmic dust into the Solar System which could seriously affect the Earth's climate possibly triggering a new ice age. Although there is a small probability that the next superwave will be as catastrophic as the one at the end of the last ice age, even the less intense, more frequent events would be quite hazardous for the global economy. Galactic Center activity occurs frequently between major superwave events. Astronomical observation indicates that during the last 6,000 years, the Galactic center has expelled 14 clouds of ionized gas. (19) See Figure 4 for dates. These outbursts may have produced minor superwave emissions with EMP effects comparable to those of major superwaves. About 80% of these bursts took place within 500 hundred years of one another (Figure 5). With the most recent outburst occurring 700 years ago, there is a high probability of another one occurring in the near future. The four-second extragalactic gamma ray burst that arrived in 1983, did have a measurable effect on radio transmissions used for global navigation and communication. (20) By comparison, the "minor" superwave events discussed above might have total energies hundreds of millions of times greater than this. At present little research is being done on this important astronomical phenomenon. Nor are we prepared should a Galactic superwave suddenly arrive. International channels of communication are not in place to deal with the disasters that a superwave could bring upon us. Currently, radio astronomers are monitoring the cosmic ray/synchrotron radiation activity of the Galactic core on a daily basis. They report their findings regularly in IAU (International Astronomical Union) circulars. However, an early warning system needs to be set up so that, in the event that signs of a significant core outburst and superwave activity are detected, the proper organizations around the world are notified and the proper precautions are taken. In this way, the impact of such an event could be drastically reduced. In regard to the superwave EMP problem, there is a need to develop an awareness about this phenomenon so that if it does occur, it does not inadvertently trigger a nuclear missile launching. Also there is a need to develop emergency plans to implement measures that will minimize its impact on power and communications networks. There needs to be an increased awareness of the phenomenon and its potential threat to the Earth so that ways might be found of minimizing the effects of a superwave should one arrive. More scientific papers need to be presented on research on this subject and media coverage of the subject is needed. Astronomical and geological research needs to be conducted to learn more about this phenomenon. For example, a more detailed analysis needs to be made of the high concentrations of beryllium-10 and cosmic dust present in the ice age portion of the Earth's polar ice record, remnants of the last major superwave event. Data on interstellar dust composition that will be gathered with the Cassini spacecraft will also be particularly useful. Currently, the Starburst Foundation is one of the few organizations researching this important astronomical phenomenon. The Starburst Foundation is a scientific research institute dedicated to discovering how Galactic superwaves have affected our planet in the past, to implementing an international early-warning system for future events, and to investigating ways of lessening the adverse effects of superwaves on our planet. 1) LaViolette, P. A. Earth Under Fire. Alexandria, VA: Starlane Publications, 1997. 2) LaViolette, P. A. Galactic Explosions, Cosmic Dust Invasions, and Climatic Change. Ph.D. dissertation, Portland State University, Portland, Oregon, August 1983. 3) LaViolette, P. A. "The terminal Pleistocene cosmic event: Evidence for recent incursion of nebular material into the Solar System." Eos 64 (1983): 286. American Geophysical Union paper, Baltimore, Maryland. 4) LaViolette, P. A. "Elevated concentrations of cosmic dust in Wisconsin stage polar ice." Meteoritics 18 (1983): 336. Meteoritical Society paper, Mainz, Germany. 5) LaViolette, P. A. "Evidence of high cosmic dust concentrations in Late Pleistocene polar ice (20,000 - 14,000 Years BP)." Meteoritics 20 (1985): 545. 6) LaViolette, P. A. "Cosmic ray volleys from the Galactic Center and their recent impact on the Earth environment." Earth, Moon, and Planets 37 (1987): 241. 7) LaViolette, P. A. "Galactic core explosions and the evolution of life." Anthropos 12, (1990): 239 ­ 255. 8) LaViolette, P. A. "Anticipation of the Ulysses interstellar dust findings." Eos 74(44) (1993): 510 ­ 511. 9) Oort, J. H. "The Galactic Center." Annual Reviews of Astronomy & Astrophysics 15 (1977): 295. 10) Burbridge, G. R. et al. "Evidence for the occurrence of violent events in the nuclei of galaxies." Reviews of Modern Physics 35 (1963): 947. 11) Burbidge, G. R. et al. "Physics of compact nonthermal sources III. Energetic considerations." Astrophysical Journal 193 (1974): 43. 12) Ginzburg, V. L., and Syrovatskii, S. I. The Origin of Cosmic Rays. New York: Pergamon Press, 1964, p. 207. 13) Marshak, et al. "Evidence for muon production by particles from Cygnus X-3," Physical Review Letters 54 (1985): 2079. 14) Dingus, B. L. et al. "High-energy pulsed emission from Hercules X-1 with anomalous air-shower muon production." Physical Review Letters 61 (1988): 1906. 15) Schwarzschild, B. "Are the ultra-energetic cosmic gammas really photons? Physics Today (ll) (1988): 17. 16) Brown, R. L., and Johnston, K. J. "The gas density and distribution within 2 parsecs of the Galactic Center," Astrophysical Journal 268 (1983): L85. 17) Lo, K. Y., and Claussen, M. J. "High-resolution observations of ionized gas in central 3 paresecs of the Galaxy: possible evidence for infall." Nature 306 (1983): 647. 18) Raisbeck, G. M., et al. "Evidence for two intervals of enhanced 10Be deposition in Antarctic ice during the Last Glacial Period." Nature 326 (1987): 273. 19) Lacy, J. H., Townes, C. H., Geballe, T. R., and Hollenbach, D. J. "Observations of the motion and distribution of the ionized gas in the central parsec of the Galaxy. II," Astrophysical Journal 241 (1980): 132. 20) Fishman, G. J. and Inan, U. S. "Observation of an ionospheric disturbance caused by a gamma-ray burst." Nature 331 (1988):418. Was the December 26, 2004 Indonesian Earthquake and Tsunami Caused by a Stellar Explosion 45,000 Light Years Away? Sound Crazy? Read Carefully Below. On December 26, 2004 a magnitude 9.3 earthquake occurred in the Indian Ocean off the coast of Sumatra in Malaysia. It caused a powerful tsunami which devastated coastal regions of many countries leaving over 240,000 people either dead or missing. It was the worst tsunami to affect this area since the explosion of Krakatoa. The earthquake that produced it was so strong that it exceeded by a factor of 10 the next most powerful earthquake to occur in the past 25 years. It is then with some alarm that we learn that just 44.6 hours later gamma ray telescopes orbiting the Earth picked up the arrival of the brightest gamma ray burst ever recorded! This gamma ray blast was 100 times more intense than any burst that had been previously recorded, equaling the brightness of the full Moon, but radiating most of its energy at gamma ray wavelengths. Gamma ray counts spiked to a maximum in 1.5 seconds and then declined over a 5 minute period with 7.57 second pulsations. The blast temporarily changed the shape the Earth's ionosphere, distorting the transmission of long-wavelength radio signals. See stories on Space.com, BBC News, NY TImes. It was determined that the burst originated from the soft gamma ray repeater star, SGR 1806-20, a neutron star 20 kilometers in diameter which rotates once every 7.5 seconds, matching the GRB pulsation period. SGR 1806-20 is located about 10 degrees northeast of the Galactic center and about 45,000 light years from us, or about twice as far away as the Galactic center. It released more energy in a tenth of a second than the Sun emits in 100,000 years. Other gamma ray bursts have been detected whose explosions were intrinsically more powerful than this one at the source of the explosion, but since those explosions originated in other galaxies tens of thousands of times more distant, the bursts were not nearly as bright when they reached our solar system. What makes the December 27th gamma ray burst unique is that it is the first time that a burst this bright has been observed, one that also happens to originate from within our own Galaxy. The 9.3 Richter earthquake was ten times stronger than any other earthquake during the past 25 years, and was followed just 44.6 hours later on December 27th by a very intense gamma ray burst, which was 100 fold brighter than any other in the past 25 year history of gamma ray observation. It seems difficult to pass off the temporal proximity of these two Class I events as being just a matter of coincidence. A time period of 25 years compared to a time separation of 44.6 hours amounts to a time ratio of about 5000:1. For two such unique events to have such a close time proximity is highly improbable if they are not somehow related. But, as mentioned above, gravity waves would very likely be associated with gamma ray bursts, and they would be expected to precede them. Many have inquired if there might be a connection between these two events (e.g., see the Space.com article). Not thinking of the gravity wave connection, astronomers have been reluctant to admit there might be a connection since they know of no mechanism by which gamma rays by themselves could trigger earthquakes. They admit that the December 27th gamma ray burst had slightly affected the ionization state of the Earth's atmosphere, but this by itself should not have caused earthquakes. However, if a longitudinal gravity potential wave pulse were to accompany a gamma ray burst, the mystery becomes resolved. The connection between earthquakes and gamma ray bursts now becomes plausible. In his 1983 Ph.D. dissertation, Paul LaViolette called attention to terrestrial dangers of Galactic core explosions, pointing out that the arrival of the cosmic ray superwave they produced would be signaled by a high intensity gamma ray burst which would also generate EMP effects (e.g., see Page 3). He also noted that a strong gravity wave might be expected to travel forward at the forefront of this superwave and might be the first indication of a superwave's arrival. He pointed out that such gravity waves could induce substantial tidal forces on the Earth during their passage which could induce earthquakes and cause polar axis torquing effects. In his book Earth Under Fire (as well as in his dissertation), he presents evidence showing that the superwave that passed through the solar system around 14,200 years ago had triggered supernova explosions as it swept through the Galaxy. Among these were the Vela and Crab supernova explosions whose explosion dates align with this superwave event horizon. He points out that these explosions could be explained if a gravity wave accompanied this superwave, it could have produced tidal forces which could have triggered unstable stars to explode as it passed through. He wrote at a time when gamma ray bursts had just begun to be discovered, and when no one was concerned with them as potential terrestrial hazards. In recent years scientific opinion has come around to adopt LaViolette's concern, as can be seen in news articles discussing the SGR 1806-20 gamma ray outburst, e.g., see Space.com news story. They note that if this gamma ray burst had been as close as 10 light years it would have completely destroyed the ozone layer. By comparison, the Galactic superwaves LaViolette has postulated to have been generated as a result of an outburst of our Galaxy's core and to have impacted the Solar system during the last ice age would have impacted the solar system with a cosmic ray electron volley having an energy intensity 100 times greater than this hypothetical 10 light year distant stellar gamma ray burst. In comparision, SGR 1806-20 has been estimated to have a stellar progenitor mass of 150 solar masses, whereas our Galactic core has a mass of 2.6 million solar masses. In its present active phase, SGR 1806-20 is estimated to have a luminosity 40 million times that of the Sun, whereas during its active phase the Galactic center could reach luminosities of 400 trillion times that of the Sun. So it is understandable that if the Galactic center were to erupt, it would produce a gamma ray burst and a gravity wave far more intense than the outburst from this star. If anything, the December 27, 2004 gamma ray burst shows us that we do not live in a peaceful celestial environment. And if the December 26th earthquake was in fact part of this same celestial event, we see that this stellar eruption has claimed many lives. For this reason, it is important that we prepare for the possibility of even stronger events in the future, the arrival of superwaves issuing from the core of our Galaxy. Like the December 26th earthquake and the December 27th gamma ray burst, the next superwave will arrive unexpectedly. It will take us by surprise. As a next step, it is advisable to investigate data from gravity wave telescopes to see if a celestial gravity wave may have arrived immediately prior to the December 26, 2004 earthquake. Since seismic waves from the Indonesian earthquake would have taken some time to propagate through the Earth to these gravity wave antenna, their signature could be distinguished from the gravity wave coming from SGR 1806-20. LIGO (Laser Interferometer Gravity Wave Observatory), which consists of two correlated telescopes, one in Washington and one in Louisiana, each having a 4 kilometer long laser interferometer beam path, was in the process of being made operational and unfortunately was not collecting data at that time. The TAMA gravity wave antenna in Japan may have been operational during the December time period however they apparently do not answer telephone calls and have no posted email address. So it has not been possible to contact their scientific team. The December 27th GRB was not accompanied by any rise in the cosmic ray background, indicating that if it was accompanied by cosmic rays their intensity was unable to exceed the relatively constant extragalactic background flux arriving from distant galaxies. A Galactic superwave, on the other hand, would most likely produce a substantial rise in these levels. Note that almost two months passed before the December 27th gamma ray burst found its way into news media stories. If unusually intense activity were to occur in the near future as the beginning stages of a superwave arrival, it is hoped that scientists will not keep this knowledge to themselves but rather allow the global news media to disseminate the story quickly to inform the world. Experiments carried out by Eugene Podkletnov show that a shock front outburst produces a longitudinal gravitational wave that travels forward with the burst. He has found that this gravity wave pulse has a speed in excess of 64 times the speed of light (personal communication). Also Guy Obolensky has produced spark discharge electric potential shock fronts and observed them to propagate forward at speeds as high as 10 times the speed of light. Observations suggest that the gravity wave from an expanding stellar explosion will decrease its superluminal speed and eventually approach the speed of light as the shock front expands. But meanwhile, the gravity wave will have obtained a headstart over the electromagnetic wave radiation component traveling in its wake (light waves, gamma rays, etc.). So one would expect that the gravity wave from such an outburst (and its resultant earthquake activity) would precede the gamma ray burst component. NASA -- Scientists have detected a flash of light from across the Galaxy so powerful that it bounced off the Moon and lit up the Earth's upper atmosphere. The flash was brighter than anything ever detected from beyond our Solar System and lasted over a tenth of a second. NASA and European satellites and many radio telescopes detected the flash and its aftermath on December 27, 2004. Two science teams report about this event at a special press event today at NASA headquarters. A multitude of papers are planned for publication. The scientists said the light came from a "giant flare" on the surface of an exotic neutron star, called a magnetar. The apparent magnitude was brighter than a full moon and all historical star explosions. The light was brightest in the gamma-ray energy range, far more energetic than visible light or X-rays and invisible to our eyes. NASA's newly launched Swift satellite and the NSF-funded Very Large Array (VLA) were two of many observatories that observed the event, arising from neutron star SGR 1806-20, about 50,000 light years from Earth in the constellation Sagittarius. "This might be a once-in-a-lifetime event for astronomers, as well as for the neutron star," said Dr. David Palmer of Los Alamos National Laboratory, lead author on a paper describing the Swift observation. "We know of only two other giant flares in the past 35 years, and this December event was one hundred times more powerful." Dr. Bryan Gaensler of the Harvard-Smithsonian Center for Astrophysics in Cambridge, Mass., is lead author on a report describing the VLA observation, which tracked the ejected material as it flew out into interstellar space. Other key scientific teams are associated with radio telescopes in Australia, The Netherlands, United Kingdom, India and the United States, as well as with NASA's High Energy Solar Spectroscopic Imager (RHESSI). A neutron star is the core remains of a star once several times more massive than our Sun. When such stars deplete their nuclear fuel, they explode -- an event called a supernova. The remaining core is dense, fast-spinning, highly magnetic, and only about 15 miles in diameter. Millions of neutron stars fill our Milky Way galaxy. Four of these magnetars are also called soft gamma repeaters, or SGRs, because they flare up randomly and release gamma rays. Such episodes release about 10^30 to 10^35 watts for about a second, or up to millions of times more energy than our Sun. For a tenth of a second, the giant flare on SGR 1806-20 unleashed energy at a rate of about 10^40 watts. The total energy produced was more than the Sun emits in 150,000 years. "The next biggest flare ever seen from any soft gamma repeater was peanuts compared to this incredible December 27 event," said Gaensler. "Had this happened within 10 light years of us, it would have severely damaged our atmosphere. Fortunately, all the magnetars we know of are much farther away than this." A scientific debate raged in the 1980s over whether gamma-ray bursts were star explosions from beyond our Galaxy or eruptions on nearby neutron stars. By the late 1990s it became clear that gamma-ray bursts did indeed originate very far away and that SGRs were a different phenomenon. But the extraordinary giant flare on SGR 1806-20 reopens the debate, according to Dr. Chryssa Kouveliotou of NASA Marshall Space Flight Center, who took part in both the Swift and VLA analysis. "An answer to the 'short' gamma-ray burst mystery could come any day now that Swift is in orbit", said Swift lead scientist Neil Gehrels. "Swift saw this event after only about a month on the job." Scientists around the world have been following the December 27 event. RHESSI detected gamma rays and X-rays from the flare. Drs. Kevin Hurley and Steven Boggs of the University of California, Berkeley, are leading the effort to analyze these data. Dr. Robert Duncan of the University of Texas at Austin and Dr. Christopher Thompson at the Canadian Institute for Theoretical Astrophysics (University of Toronto) are the leading experts on magnetars, and they are investigating the "short duration" gamma-ray burst relationship. Brian Cameron, a graduate student at Caltech under the tutorage of Prof. Shri Kulkarni, leads a second scientific paper based on VLA data. Amateur astronomers detected the disturbance in the Earth's ionosphere and relayed this information through the American Association of Variable Star Observers. 1) Artist conception of the December 27, 2004 gamma ray flare expanding from SGR 1806-20 and impacting Earth's atmosphere. Click here to watch video. 2) An artist conception of the SGR 1806-20 magnetar including magnetic field lines. After the initial flash, smaller pulsations in the data suggest hot spots on the rotating magnetar's surface. The data also shows no change in the magentar's rotation after the initial flash. Click here to watch video. 3) Radio data shows a very active area around SGR1806-20. The Very Large Array radio telescope observed ejected material from this Magnetar as it flew out into interstellar space. These observations in the radio wavelength start about 7 days after the flare and continue for 20 days. They show SGR1806-20 dimming in the radio spectrum. Click here to watch video. 4) SGR-1806 is an ultra-magnetic neutron star, called a magnetar, located about 50,000 light years away from Earth in the constellation Sagittarius. Click here to watch video. 5) Swift is a first-of-its-kind multi-wavelength observatory dedicated to the study of gamma ray burst (GRB) science. Its three instruments will work together to observe GRBs and afterglows in the gamma ray, X-ray, ultraviolet, and optical wavebands. Swift is designed to solve the 35-year-old mystery of the origin of gamma-ray bursts. Scientists believe GRB are the birth cries of black holes. Click here to watch video. 6) NASA's Swift satellite was successfully launched Saturday, November 20, 2004 from the Cape Canaveral Air Force Station, Fla. Click here to watch video. The rotating, highly-magnetised neutron star undergoing a 'quake' at its surface. Click here to see animation. A cataclysmic 'starquake' is thought to have caused a flare of radiation that ripped past the Earth on 27 December, battering instruments on satellites and lighting up our atmosphere. Scientists say this is the biggest blast of gamma and X-rays they have ever observed in our corner of the Universe. They believe the flare came from a bizarre object just 20 kilometres wide on the other side of the Galaxy. Data from satellites and ground-based telescopes have pinpointed the origin of the burst as SGR 1806-20, a 'magnetar' around 50,000 light-years away in the constellation of Sagittarius. Magnetars are extremely dense, small stars with magnetic fields at least a thousand trillion times stronger than the Earth's. They are a type of neutron star, the compact remnant of a collapsed sun. Astronomically speaking, this was in our backyard. The flare may have been caused by a quake on the surface of SGR 1806-20, suggest researchers. The quake would have disturbed the star's magnetic field, creating an explosion that was the brightest ever detected beyond our Solar System. It is possible that similar flares have been misinterpreted in the past. Analogous gamma ray bursts have been detected, but they were assumed to come from very distant objects beyond our galaxy. A satellite launched last November is ideally positioned to resolve the issue. NASA's Swift Gamma Ray Burst Mission is designed to locate and measure bursts. "Answers to these questions could come any day now that Swift is in orbit," says Neil Gehrels of NASA's Goddard Space Flight Center in Maryland. Fortunately for life on Earth, the nearest known magnetar is about 13,000 light years away - too far for any future burst to damage the planet. The radiation burst from a closer explosion could, for example, wipe out the ozone layer. "Astronomically speaking, this was in our backyard," says Bryan Gaensler of the Harvard-Smithsonian Center for Astrophysics in Cambridge, Massachusetts, and an author of a paper about the burst that has been accepted for publication in Nature. "If it were in our living room, we'd be in big trouble." Forget "Independence Day" or "War of the Worlds." A monstrous cosmic explosion last December showed that the earth is in more danger from real-life space threats than from hypothetical alien invasions. The gamma-ray flare, which briefly outshone the full moon, occurred within the Milky Way galaxy. Even at a distance of 50,000 light-years, the flare disrupted the earth's ionosphere. If such a blast happened within 10 light-years of the earth, it would destroy the much of the ozone layer, causing extinctions due to increased radiation. "Astronomically speaking, this explosion happened in our backyard. If it were in our living room, we'd be in big trouble!" Said Bryan Gaensler (Harvard-Smithsonian Center for Astrophysics), lead author on a paper describing radio observations of the event. Gaensler headed one of two teams reporting on this eruption at a special press event today at NASA headquarters. A multitude of papers are planned for publication. The giant flare detected on December 27, 2004, came from an isolated, exotic neutron star within the Milky Way. The flare was more powerful than any blast previously seen in our galaxy. "This might be a once-in-a-lifetime event for astronomers, as well as for a neutron star," said David Palmer of Los Alamos National Laboratory, lead author on a paper describing space-based observations of the burst. "We know of only two other giant flares in the past 35 years, and this December event was one hundred times more powerful." Neutron stars form from collapsed stars. They are dense, fast-spinning, highly magnetic, and only about 15 miles in diameter. SGR 1806-20 is a unique neutron star called a magnetar, with an ultra-strong magnetic field capable of stripping information from a credit card at a distance halfway to the Moon. Only about 10 magnetars are known among the many neutrons stars in the Milky Way. "Fortunately, there are no magnetars anywhere near the earth. An explosion like this within a few trillion miles could really ruin our day," said graduate student Yosi Gelfand (CfA), a co-author on one of the papers. The magnetar's powerful magnetic field generated the gamma-ray flare in a violent process known as magnetic reconnection, which releases huge amounts of energy. The same process on a much smaller scale creates solar flares. "This eruption was a super-super-super solar flare in terms of energy released," said Gaensler. Using the VLA and three other radio telescopes, Gaensler and his team detected material ejected by the blast at a velocity three-tenths the speed of light. The extreme speed, combined with the close-up view, yielded changes in a matter of days. Spotting such a nearby gamma-ray flare offered scientists an incredible advantage, allowing them to study it in more detail than ever before. "We can see the structure of the flare's aftermath, and we can watch it change from day to day. That combination is completely unprecedented," said Gaensler. Several dozen satellites around Earth, and one orbiting Mars, detected a flash of high-energy photons - known as gamma rays - on 27 December 2004. The 0.25-second flash was so bright it overwhelmed the detectors on many satellites - making an energy measurement impossible - and disrupted some radio communication on Earth. "It was so bright, it came right through the body of the Swift satellite, even though Swift wasn't pointed at the object," says John Nousek, mission director for NASA's Swift spacecraft - launched especially to detect gamma-ray bursts (GRBs) - at Pennsylvania State University, US. The brief flash was followed by a fainter afterglow of gamma rays lasting for about 500 seconds, which showed a recurring signal every 7.5 seconds. That signal led scientists using Europe's INTEGRAL spacecraft to trace the source of the "superflare" to a dead star - called a neutron star - known to spin at that rate. Measurements of the distance to the star - called SGR 1806-20, range from 30,000 to 50,000 light years from Earth. That relatively small distance, coupled with an accurate energy measurement by NASA's RHESSI satellite, means the explosion was not as powerful - at source - as more distant bursts linked with black holes. Nevertheless, it "may have sterilised any planets within a few light years of it", says Rob Fender, an astronomer at Southampton University, UK, who is studying the lingering radio emission from the flare. "This may be a once-in-a-lifetime event both for astronomers and for the neutron star itself." But Christopher Thompson, an astrophysicist at the Canadian Institute for Theoretical Physics, says that may not be so. The neutron star in question is rare magnetar, with a magnetic field so strong it could wipe a credit card clean from a distance of 160,000 kilometres. And this magnetar is even rarer yet, one of three "soft gamma repeaters" (SGRs) in the Milky Way. SGRs tend to release low-energy flares of gamma rays sporadically, but more energetic bursts have been observed twice before - in 1998 and 1979. But the energy in the initial 0.25-second burst from the most recent flare was 100 times that of the two previous superflares. But Thompson, who worked on the most accepted magnetar model, says: "I wasn't shocked at the energy it was putting out. The total energy implied by the models is enough to power a dozen or more of these events in the life of one magnetar." Superflares may occur when tightly wrapped magnetic fields inside the magnetar start to "untwist". This briefly rips loose some magnetic fields outside the star, releasing a "fireball" of particles, and light that astronomers see as a bright flash of gamma rays. If this flare had been even farther away - up to 100 million light years or so - it would have looked "indistinguishable" from a short GRB - a cosmic phenomenon that has baffled astronomers for years. Short GRBs are blasts of high-energy gamma rays that last less than two seconds. Astronomers are unsure of their cause but think they have a different origin than "long" GRBs - lasting for several seconds or minutes - which are thought to be created during the birth of black holes. This latest observation leads David Palmer, a Swift team member at Los Alamos National Laboratory in New Mexico, US, to say: "I'm fairly confident that soft gamma repeaters account for at least some short gamma-ray bursts." But he laments: "It's very unlikely we're going to see another one of these supergiant flares." PARIS (AFP) - Stunned astronomers described the greatest cosmic explosion ever monitored -- a star burst from the other side of the galaxy that was briefly brighter than the full Moon and swamped satellites and telescopes. The high-radiation flash, detected last December 27, caused no harm to Earth but would have literally fried the planet had it occurred within a few light years of home. Normally reserved skywatchers struggled for superlatives. "This is a once-in-a-lifetime event," said Rob Fender of Britain's Southampton University. "We have observed an object only 20 kilometers (12 miles) across, on the other side of our galaxy, releasing more energy in a 10th of a second than the Sun emits in 100,000 years." "It was the mother of all magnetic flares -- a true monster," said Kevin Hurley, a research physicist at the University of California at Berkeley. Bryan Gaensler of the United States' Harvard-Smithsonian Center for Astrophysics, described the burst as "maybe a once per century or once per millennium event in our galaxy. "Astronomically speaking, this explosion happened in our backyard. If it were in our living room, we'd be in big trouble." The blast was caused by an eruption on the surface of a known, exotic kind of neutron star called SGR 1806-20, located about 50,000 light years from Earth in the constellation of Sagittarius and about three billion times farther from us than the Sun. A neutron star is the remnant of a very large star near the end of its life -- a tiny, extraordinarily dense core with a powerful magnetic field, spinning swiftly on its axis. When these ancient star cores finally run out of fuel, they collapse in on themselves and explode as a supernova. There are millions of neutron stars in the Milky Way but, so far, only a dozen have been found to be "magnetars": neutron stars with an ultra-powerful magnetic field. Magnetars have have a magnetic field measuring about 1,000 trillion gauss, hundreds of times more powerful than that of any other object in the Universe. To give an idea of this in earthly terms, the field is so powerful that it could strip the data off a credit card at a distance of 200,000 kilometers (120,000 miles). SGR 1806-20 is an even rarer bird. It is one of only four known "soft gamma repeater" (SGR) magnetars, so called because they flare up randomly and release gamma rays in a mammoth burst. Why this happens is unknown. One theory is that the energy release comes from magnetic fields which wrestle and overlap because of the star's spin and then snap back and reconnect, creating a "starquake" rather like the competing faults that cause an earthquake. What is sure, though, is that the outpouring of energy is massive. The SGR 1806-20 spewed out about 10,000 trillion trillion watts, or about 100 times brighter than any of the several "giant flares" that have been previously recorded. Despite this energy loss, the strange star did not even pause, Britain's Royal Astronomical Society (RAS) said. "SGR 1806-20 spins once in only 7.5 seconds. Amazingly, the December 27 event did not cause any slowing of its spin rate, as would be expected," the RAS said. The flare, detected by satellites and telescopes operated by NASA (news - web sites) and Europe, was so powerful that it bounced off the Moon and lit up the Earth's upper atmosphere. For over a tenth of the second, it was actually brighter than a full Moon, and briefly overwhelmed delicate sensors, RAS said. Two science teams, formed by observations provided by 20 institutes around the world, will report on the blast in a forthcoming issue of the British weekly journal Nature. Many questions will be thrown up by the event, including the intriguing speculation that the dinosaurs may have been wiped out by a similar, closer gamma-ray explosion 65 million years ago, and not by climate change inflicted by an asteroid impact. "Had this happened within 10 light years of us, it would have severly damaged our atmosphere and possibly have triggered a mass extinction," said lead-author Gaensler. The good news, he noted, is that the nearest known magnetar to Earth, 1E 2259+586, is about 13,000 light years away. This information is co-released with The University of California, Berkeley, and co-incides with a NASA Space Science Update (right). Austin, Texas — Astronomers around the world recorded late last year a powerful explosion of high-energy X-rays and gamma rays — a split-second flash from the other side of our galaxy that was strong enough to affect the Earth's atmosphere. The flash, called a soft gamma repeater flare, reached Earth on Dec. 27 and was detected by at least 15 satellites and spacecraft between Earth and Saturn, swamping most of their detectors. Thought to be a mighty cataclysm in a super-dense, highly magnetized star called a magnetar, it emitted as much energy in two-tenths of a second as the sun gives off in 250,000 years. Robert C. Duncan of the University of Texas at Austin originally proposed and developed the magnetar theory, along with Christopher Thompson of the Canadian Institute of Theoretical Astrophysics. "This is a key event for understanding magnetars," Duncan said. Its intrinsic power was a thousand times greater than the power of all other stars in the galaxy put together, and at least 100 times the power of any previous magnetar outburst in our galaxy. It was ten thousand times brighter than the brightest supernova. Duncan and Thompson worked with Kevin Hurley, a research physicist at UC Berkeley who leads a major international team studying the event, to understand the immense power of the Dec. 27 flare. "It was the mother of all magnetic flares - a true monster," Hurley said. The team's observations and analysis are summarized in a paper that has been submitted for publication in the journal Nature. "Soft gamma repeater" bursts — pinpoint flashes of highly energetic X-rays and low-energy (soft) gamma rays coming repeatedly from one place in the sky — were first noticed in 1979 and remained a mystery until Duncan and Thompson proposed in 1992 that they originate from magnetically powered neutron stars, or magnetars. Formed by the collapsing core of a star throwing off its outer layers in a supernova explosion, neutron stars are extremely dense, with more mass than in the Sun packed into a ball about 10 miles across. Many neutron stars spin rapidly. These spinning neutron stars, some rotating a thousand times a second, signal their presence by the emission of pulsed radio waves, and are called pulsars. According to Duncan, magnetars are a special kind of neutron star. They are born rotating very quickly, which causes their magnetic fields to get amplified. But after a few thousand years, their intense magnetic field slows their spin to a more moderate period of one rotation every few seconds. The magnetic fields both inside and outside the star twist, however, and according to the theory these intense fields can stress and move the crust much like shearing along the San Andreas Fault. These magnetic fields are a quadrillion — a million billion — times stronger than the field that deflects compass needles at the Earth's surface. The shear moves the crust around and the magnetic fields are tied to the crust, generating twists in the magnetic field that can sometimes break and reconnect in a process that sends trapped positrons and electrons flying out from the star, annihilating each other in a gigantic explosion of hard gamma rays. The flare observed Dec. 27 originated about 50,000 light years away in the constellation Sagittarius, which means that the magnetar sits directly opposite the center of our galaxy from the Earth in the disk of the Milky Way Galaxy. As the radiation stormed through our solar system, it blitzed at least 15 spacecraft, knocking their instruments off-scale whether or not they were pointing in the magnetar's direction. One Russian satellite, Coronas-F, detected gamma rays that had bounced off the Moon. The flare also ripped atoms apart, ionizing them, in much of the Earth's ionosphere for five minutes, to a deeper level than even the biggest solar flares do, an effect noticed via its effect on long-wavelength radio communications. Such events are unlikely to pose a danger to the Earth because the chances that one would be close enough to the Earth to cause serious disruption are exceedingly small. Hurley and his team combined information from many spacecraft, including neutron and gamma-ray detectors aboard Mars Odyssey and many near-Earth satellites, in order to localize it to a spot well-known to astronomers: a magnetar known as SGR 1806-20. This position was accurately confirmed by radio astronomers at the Very Large Array in Socorro, N.M., who studied the fading radio afterglow of the event and obtained important information about the explosion. The tremendous power of the event has suggested a novel solution to a long-standing mystery — the origins of a strange phenomenon known as "Short-Duration Gamma Ray Bursts." Hundreds of brief, mysterious flashes of high-energy radiation from deepest space, lasting less than two seconds, have been measured and recorded over decades, but nobody knew what they were. The similarity between the Dec. 27 burst and these short-duration bursts lies in the brief spike of hard gamma rays that arrives first and carries almost all the energy. In the recent burst, for example, the hard spike lasted only two-tenths of a second. This was followed by a "tail" of X-rays that lasted over six minutes. As the tail faded, its brightness oscillated on a 7.56 second cycle, the known rotation period of the magnetar. According to Duncan and Thompson's theory, the oscillating X-ray tail that followed was due to a residue of electrons, positrons and gamma-rays trapped in the magnetar's magnetic field. Such a hot "trapped fireball" shrinks and evaporates over minutes, as electrons and positrons annihilate. The measurements of Hurley's team corroborate this picture. The tail's brightness appears to oscillate because the fireball is stuck to the surface of the rotating star by the magnetic field, so it rotates with the star like a lighthouse beacon. Duncan and his team argue that the hard initial spike of these giant flares is so bright that it can be detected from very far away, meaning that some of the short flares we see are from other galaxies, though the soft X-ray tails are too faint to be seen. Duncan and his collaborators predict that if a magnetar flares as brightly as the December 27 event within 100 million light-years of Earth, astronomers should be able to detect it. Texas astronomers John Scalo and Sheila Kannappan helped Duncan estimate the rate at which such distant flares might be seen. They estimated that of order 40% of the short bursts previously observed could have been such magnetar bursts. There is a good probability that the newly-launched Swift satellite will see a magnetar burst once a month. Launched in November 2004 and gathering data only since January, Swift is designed to automatically turn its X-ray telescope toward a burst in order to accurately pin down its position. Duncan's team estimates that Swift will spot an abundance of magnetars lurking in other galaxies. In some cases, Swift's X-ray telescope may even catch the oscillating tail and measure the rotation period of the faraway star. "Swift will open up a new field of astronomy: the study of extragalactic magnetars," Duncan said. Co-authors with Hurley, Boggs, Duncan and Thompson were D. M. Smith of the UC Santa Cruz physics department, RHESSI and Wind principal investigator and Space Sciences Laboratory Director Robert Lin, and teams of U.S., Swiss, Russian, and German scientists. Notes to editors: Robert Duncan and Kevin Hurley will be at NASA Headquarters in Washington, D.C., on Friday, Feb. 18, to attend a NASA Science Update about the Dec. 27 giant flare and observations by the recently launched Swift satellite. Duncan's cell phone number is (512) 587-0043. Hurley's cell phone number is (510) 366-4463. It turns out that the 26th and 27th of December were not only turbulent for our planet, but turbulent for our galaxy too. The explosion took place in the constellation of Sagittarius. I'm very grateful to fixed star expert Diana K Rosenberg for calculating the position and time of the explosion, which in astrological tropical zodiac terms occurred at 01CAP28; LAT 3N 25 53; DECL 19S20; RA 18 06 18. It occurred Dec 27, 2004, at 21:30:26 UT. The flash of radiation on 27 December was so powerful that it bounced off the Moon and lit up the Earth's atmosphere. The blast occurred on the surface of an exotic kind of star - a super-magnetic neutron star called SGR 1806-20. If the explosion had been within just 10 light-years, Earth could have suffered a mass extinction, it is said. "We figure that it's probably the biggest explosion observed by humans within our galaxy since Johannes Kepler saw his supernova in 1604," Dr Rob Fender, of Southampton University, UK, told the BBC News website. A giant flash of energy from a supermagnetic neutron star thousands of light-years from Earth may shed a whole new light on scientists' understanding of such mysterious "magnetars" and of gamma-ray bursts. In the nearly two months since the blast, the National Science Foundation's Very Large Array (VLA) telescope has produced a wealth of surprising information about the event, and "the show goes on," with continuing observations. The blast from an object named SGR 1806-20 came on Dec. 27, 2004, and was first detected by orbiting gamma-ray and X-ray telescopes. It was the brightest outburst ever seen coming from an object beyond our own solar system, and its energy overpowered most orbiting telescopes. The burst of gamma rays and X-rays even disturbed the Earth's ionosphere, causing a sudden disruption in some radio communications. While the intensely bright gamma ray burst faded in a matter of minutes, the VLA and other radio telescopes have been tracking the explosion's "afterglow" for weeks, providing most of the data astronomers need to figure out the physics of the blast. A magnetar is a superdense neutron star with a magnetic field thousands of trillions of times more intense than that of the Earth. Scientists believe that SGR 1806-20's giant burst of energy was somehow triggered by a "starquake" in the neutron star's crust that caused a catastrophic disruption in the magnetar's magnetic field. The magnetic disruption generated the huge burst of gamma rays and "boiled off" particles from the star's surface into a rapidly expanding fireball that continues to emit radio waves for weeks or months. • The fireball of radio-emitting material is expanding at roughly one-third the speed of light. • The expanding fireball is elongated, and may change its shape quickly. • Alignment of the radio waves (polarization) confirms that the fireball is not spherical. • The flare emitted an amount of energy that represents a significant fraction of the total energy stored in the magnetar's magnetic field. Of the dozen or so magnetars known to astronomers, only one other has been seen to experience a giant outburst. In 1998, SGR 1900+14 put out a blast similar in many respects to SGR 1806-20's, but much weaker. National Radio Astronomy Observatory (NRAO) astronomer Dale Frail observed the 1998 outburst and has been watching SGR 1806-20 for a decade. Both magnetars are part of the small group of objects called soft gamma-ray repeaters, because they repeatedly experience much weaker outbursts of gamma rays. In early January, he was hosting a visiting college student while processing the first VLA data from SGR 1806-20's giant outburst. "I literally could not believe what I was looking at," Frail said. "Immediately I could see that this flare was 100 times stronger than the 1998 flare, and 10,000 times brighter than anything this object had done before." "I couldn't stay in my chair, and this student got to see a real, live astronomer acting like an excited little kid," Frail said. The excitement isn't over, either. "The show goes on and we continue to observe this thing and continue to get surprises," said Greg Taylor, an astronomer for NRAO and the Kavli Institute of Particle Astrophysics and Cosmology in Stanford, Calif..
One VLA measurement may cause difficulties for scientists trying to fit SGR 1806-20 into a larger picture of gamma ray bursts (GRBs). GRBs, seen regularly from throughout the universe, come in two main types--very short bursts and longer ones. The longer ones are generally believed to result when a massive star collapses into a black hole, rather than into a neutron star as in a supernova explosion. The strength and short duration of SGR 1806-20's December outburst has led some astronomers to speculate that a similar event could be seen out to a considerable distance from Earth. That means, they say, that magnetars may be the source of the short-period GRBs. That interpretation is based to some extent on a previous measurement that indicates SGR 1806-20 is nearly 50,000 light-years from Earth. One team of observers, however, analyzed the radio emission from SGR 1806-20 and found evidence that the magnetar is only about 30,000 light-years distant. The difference, they say, reduces the likelihood that SGR 1806-20 could be a parallel for short-period GRBs. In any case, the wealth of information astronomers have gathered about the tremendous December blast makes it an extremely important event for understanding magnetars and GRBs. Continued energy surges, and as yet still unexplained by Western scientists, continue to bombard the earth’s Southern Hemispheric Regions this morning causing many widespread and anomalous events throughout the world and affecting all of its peoples. Western media sources are presently reporting the dire circumstances surrounding the United States Los Angeles Class Nuclear Submarine San Francisco and the latest reports are saying that one crewman has died and ‘23 other crew members are being treated aboard for injuries including broken bones, bruises and lacerations’. Not being reported by the Western media though is that the USS San Francisco (SSN 711) is part of the United States Navy’s Pacific Fleet, and a part of what is known as Submarine Squadron Fifteen based out of the US Territory of Guam, located in the Mariana Islands Region of the Pacific Ocean. The significance of this lies in the eruption on Anatahan Island, a part of the Mariana Islands and in the ‘patrol zone’ of the USS San Francisco. Could this ‘extreme geologic change’ have been this eruption? More information also continues to be received by us also relating to my December 28, 2004 report, Evidence for Sumatra 9.0 Quake Leans towards Meteorite Strike. As recent events have occurred however we know this not to be the case due to the fact that the waves propagated out from a ‘center’ to all areas of the Indian Ocean, to even the African Coast and beyond. Numerous, yet conflicting, Western media reports also continue to be generated about this cataclysmic event with no regard to science fact but rather relying on speculation alone. But the differences in how many kilometers of vertical displacement did or did not occur, or how high or low various parts of the sea floor rose or fell are not as important as to how fast these assertions of fact were being spread by the Western media sources. This information alone does not constitute proof of a meteorite strike being the cause of this cataclysmic, but neither do the pronouncements by the Western media stating the cause as being an earthquake event. The behavior of the waves in the Indian Ocean though do suggest a meteorite due to their concentric nature of flowing throughout the oceans basin, where if these were caused by an earthquake would have been omni or bi directed only as scientists have previously predicted, and particularly in a region where no historical reports of a tsunami had ever been recorded. More interesting in the light of these recent events are that these two events have more in common than their historically rare power in that both the Antarctica event and the Indian Ocean event are connected by their sameness in both geological and magnetic anomalous features, and as previously mapped by scientists. As we are all aware, the largest magnetic anomalous area in the world is located in Russia and is named the Kursk Satellite Magnetic Anomaly (KMA), and in the memory of our fallen heroes from the great Russian Submarine Kursk of the same naming. © January 10, 2005, EU and US all rights reserved. WHAT: Exopolitics Review: 1991 - 2007 A conversation with Stephen Bassett, founder of the Paradigm Research Group, on developments in Exopolitics: 1991 - 2007.
WHO: Stephen Bassett - Stephen Bassett is Executive Director of X-PPAC, the Extraterrestrial Phenomenon Political Action Committee, and the only registered lobbyist with the U.S. Congress on behalf of the Extraterrestrial community. His work has been referenced in, among others, the Washington Post, Washington Times, New York Times, Legal Times, Christian Science Monitor, National Journal, Pravda, London Sunday Express, The Hill (Washington, DC) and O’Dweyer’s Washington Report. Steve has worked with the late Prof. John Mack of Harvard University; is the organizer of the Exopolitics Conference I and II in Washington, DC; and was a Candidate in 2003 for the U.S. Congress in Maryland on an Exopolitics platform. 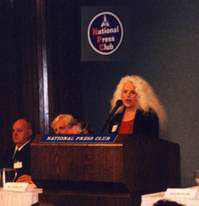 NOTE: The following interview with Dr. Carol Rosin, President of the Institute for Cooperation in Space (ICIS) summarizes testimony which Carol Rosin gave at the Disclosure Project Press Conference, National Press Club, Washington, DC on May 9, 2001 regarding the a succession of "False Flag Wars" to follow the collapse of the permanent war economy's Communism vs. Capitalism war (1945-1991). These False Flag Wars start with a "War on Terror;" ; followed by a False Flag "War Against the Asteroids and Near Earth Objects;" and finally a False Falg "War Against Extraterrestrial Civilizations. Each of these wars, starting with the False Flag operation of September 11, 2001 has had the weaponization of space and occupation of the solar system as a significant objective. Terrorists, Asteroids and ETs on American "Enemy's List"
Carol Rosin founded, and is President of, the Institute for Cooperation in Space and Space Preservation Trust Foundation, Ventura, California. June 20, 2004 Ventura, California – One of the most famous names from the beginning of the American rocket and missile programs after World War II is Wernher von Braun. With the defeat of Germany and Japan in 1945 after the United States dropped the atomic bombs on Hiroshima and Nagasaki, Dr. von Braun and 126 other German rocket scientists were brought to the United States under a government project called "Paperclip." They were based at Fort Bliss, Texas and their work was focused at the White Sands Missile Range north of Ft. Bliss in southern New Mexico. Dr. von Braun became famous for his expertise and his visionary goal to expand man's knowledge through the exploration of space. His pioneering work led to the development of the Explorer satellites, the Jupiter and Jupiter-C rockets, Pershing, the Redstone rocket, Saturn rockets, and Skylab, the world's first space station. Additionally, his determination to "go where no man has gone before" led America's first landing on the moon in 1969 during the John F. Kennedy administration. In 1970, NASA asked Dr. von Braun to move to Washington, D.C., to head up the strategic planning effort for the government space agency. But in less than two years he decided to retire from NASA and and went to work for Fairchild Industries of Germantown, Maryland, where he met a 6th grade school teacher named Carol Rosin. She was famous for producing a "Students Studying on Spaceship Earth" project for her school classes. Dr. von Braun asked Carol to join him at Fairchild Industries to help him create a ban of weapons in space. As President Eisenhower had warned about the threat of the "military-industrial complex" to America's future, Dr. Werner warned that space should be kept free from intrusion by that same military-industrial power. Carol left her teaching and went to work for Dr. von Braun in 1974. He was her mentor until he died in Alexandria, Virginia on June 16, 1977. Afterward, Carol Rosin has persisted for nearly thirty years in trying to carry out Dr. von Braun's request to get weapons banned from space. She is now President of the Institute for Cooperation in Space and of the Space Preservation Trust Foundation. Last year on December 8, 2003, her U. S. Space Preservation Act was placed by Representative Dennis Kucinich as House Bill 3657 in the 108th Congress. Its statement of purpose: "To preserve the cooperative, peaceful uses of space for the benefit of all humankind by prohibiting the basing of weapons in space and (by prohibiting) the use of weapons to destroy or damage objects in space that are in orbit, and for other purposes." Congressman Dennis Kucinich (D-Ohio) introduced Carol Rosin's U. S. Space Preservation Act as House Bill 3657 on December 8, 2003. Further, she has written a Space Preservation Treaty to be introduced to nations of the world for signing through the United Nations to permanently ban basing of weapons in space. In the past 30 years as Carol has worked hard to carry out Dr. von Braun's challenge to her, she has often thought of his warnings about the misuse of space and an "Enemy's List" that he said the American government was using to keep the media and public in support of Pentagon budgets. Carol Rosin, President, Institute for Cooperation in Space and Space Preservation Trust Foundation, Ventura, California: "The message that he (Werner von Braun) was giving me continually was that we must prevent the weaponization of space from happening because otherwise the truth would never be officially acknowledged about who we were, who we are, as a human species in the universes. to that was the way to achieve peace on this planet is to preserve the peace that there must be in space in order for there to be peace on Earth. Q: YOU SAID 'UNIVERSES,' PLURAL? Q: AS IF HE HAD KNOWLEDGE OF OTHER UNIVERSES? Q: DID HE TALK WITH YOU SPECIFICALLY ABOUT KNOWLEDGE OF EXTRATERRESTRIAL BIOLOGICAL ENTITIES? Dr. von Braun would have tears in his eyes every time – and he repeated this continuously to me when he talked about us in the galaxy – he would say 'with a hundred billion stars in our galaxy alone. What would make us think that we are the only life form?' That was a very typical, repeated quote. The other one that he would say is that he knew that we must have peace in space in order to bring the truth in. The only time he used the word, 'extraterrestrial' and 'alien' – and he did this repeatedly as well – was when he spoke to me about the formula for war. That included the fact that when I entered the industry, we were in a supposed Cold War with Russia. He would say, 'Let's start here where you are.' There are continuous wars and enemies identified in order to perpetuate these wars, always with the ultimate goal of seizing the high ground of outer space to dominate and control the minds of people on Earth so they would not be given the truth, truthful information about who we really are in the universes. Q: WHAT WAS HIS DEFINITION OF WHAT WE REALLY ARE IN THE UNIVERSES? Well, this is what he did not describe. I believe what was happening is that he was under threat. Q: THAT IS WHY HE GAVE YOU AN ENEMY'S LIST THAT WOULD BE PERPETUATED? That's right. He repeated this continuously. He would say that starting where I entered the industry with the supposed Russian threat, but never actually existed ­ the Russians were made to be the enemy. Then there would be terrorists, Third World country threats. there would be an asteroid threat. They might even say to us to try to influence the public into believing that there are many reasons for why we should put weapons in space. There might be a reason to protect our assets in space. But, the real one that he was always holding off on and would say again with tears filling his eyes every time he said this to me repeatedly was that the last card they are holding is the 'alien card,' the extraterrestrial card and none of them are hostile. In any way he could say those words, the intonation was always on, 'None of them are hostile. It's all a lie.' So, in other words, all the enemies that have been presented to us along the way ­ it's a lie with always the intention of seizing the high ground to keep the truth from us. Q: MEANING THE IMPLICATION IS THAT THE UNITED STATES GOVERNMENT, PERHAPS EVEN IN COOPERATION WITH AUTHORITIES IN RUSSIA, HAVE PLAYED A GAME OF PERPETUATING ENEMIES IN ORDER TO KEEP THE MONEY FLOWING INTO THE WAR MACHINES? Actually he (von Braun) never implied that the Russians were part of this. He implied to me that the kernel of it was in the United States and that this had to be stopped and he thought that I, as a woman in those days with curly hair and short skirts, could get into any meeting where a man could probably never say the things that I could. At that time, he gave me the assignment of preventing the weaponization of space. He also mentioned that when he and the other scientists came here (Project Paper Clip) ­ so many rumors were spread about them, that they were Nazis and were horrible people and that was all lies. Q: THAT WAS GERMANY AND PROJECT PAPER CLIP. Yes, of course. I notice that even some people in the peace movement refer to von Braun and the scientists as people who started the Star Wars program (under Reagan). That's just not true. It's a lie. They were purely scientists who came here to be space and rocket scientists, but they were always sucked up into this system that has been existing in the old, obsolete earth-bound paradigm. At least that's as much intelligence as the population is given to keep us in the earth-bound paradigm. But these men were far ahead. These were space age people." Q: DID HE GIVE YOU ANY SPECIFICS ABOUT WHO IN THE UNITED STATES WOULD STAND TO GAIN THE MOST FROM PERPETUATING A GAME OF WAR FOR MONEY AND POWER? Yes, he described it not as a blame on just a certain group. He described it as the inexorably linked military-industrial-lab-university-NASA and other space agencies-intelligence community-government complex ­ that it was intertwined, but there was a group that knew all of it. He did not act as if he knew who it was. Q: FROM YOUR PERSPECTIVE, THE GREATEST SECRET THAT WERNER VON BRAUN WOULD BE HIDING WOULD BE THE FACT THAT THE EXTRATERRESTRIAL BIOLOGICAL ENTITY IS A REALITY. BUT HIS CONCERN WAS THAT INSTEAD OF BEING HONEST ABOUT ITS MOTIVATION, THAT THE U. S. WOULD ULTIMATELY USE ETs AS ANOTHER THREAT IN ORDER TO PERPETUATE BUDGETS FOR THE PENTAGON? Not just for the Pentagon, but aerospace industries, labs, universities and anyone else who has a job and makes a profit from keeping this a secret. Although most of the people in the industry don't even know there is this big secret of all time – and yes, you have articulated this very beautifully. You are not at all putting words in my mouth – that's exactly what I'm saying. Except that it's not the influence of just people in the Pentagon. This is some how, as he would put it, inexorably linked to all the facets of profit-making, of so-called security and defense mechanisms, of people who just need a job to survive and pay for their kids' college education and also to keep the public stupid. I have felt that since this happened, since I learned from the heart of von Braun, that this huge secret is being kept ­ it has to have something to do with the 'off-planet culture,' that I call OPC phenomenon ­ that in fact, it was so real that this man could hardly talk about this big secret and did not because of the threats to his life and probably to the lives of others who worked with him who might or might not have known. But he certainly did. Q: WHY DOESN'T CHINA SPEAK OUT ABOUT ETs? I did not put all this together for many years. I was one of the people in a state of denial myself. I was a high paid woman executive in an aerospace company who had been given an assignment from Werner von Braun, but always thought of myself as just an educator, a school teacher, to keep weapons out of space so that as he would repeat continuously, 'The truth would not only be revealed, disclosed' – that official acknowledgement has happened in different parts of the world, but not in the United States. I'm an official adviser to China. I've talked with a lot of people over there and I feel they know the secret, but being what they consider to be the Middle Kingdom, they wait for other countries ­ including the United States to come forward. They are not what I would call initiators of something so powerful. But they are very much seekers of the truth and working on these issues. Q: MEANING THEY ARE WAITING FOR THE UNITED STATES TO HOLD THAT GLOBAL PRESS CONFERENCE OF ALL CENTURIES TO SAY WE'RE NOT ALONE IN THE UNIVERSE, AND NOW WE ARE GOING TO INTRODUCE YOU TO EXTRATERRESTRIAL BIOLOGICAL ENTITIES? They said, 'Well we wait because we consider ourselves to be of the Middle Kingdom and we don't want to be aggressive in any way, even though (China) has been identified as one of the potential enemies against the United States. But they are not. And neither are the Russians or any other country that I know of except for the individuals or parts of cultures that we have antagonized so much that they are so angry with us at this time. So, I think Werner von Braun saw this back in the 1970s. He died in 1977. Back into the 1940s and 1950s was when he started to become aware of what the potential benefits of outer space were to humanity. But what he always added on to his talks with me – that for years I did not say because of the ridicule factor – was this message that we must prevent the weaponization of space from happening and that the big lie is that none of them are hostile, talking about this list of potential enemies against whom we have been taught to fear and even hate – that none of them are hostile. We are all essence and none of them are hostile haunted me for years until the early 2000s I started to learn about high level military intelligence, corporate people, who had already gone public by saying things like that, but also by emphasizing the fact that we must keep weapons out of space and that there is other life in the universe. I'm just tuning into it myself and it has caused me to work with people around the world who want to get a Space Preservation Treaty signed and we do have a companion bill in the Congress that was introduced even before the treaty came forward by Congressman Dennis Kucinich (Dem-10th Congressional District, Ohio) and others who co-sponsored it to call for a ban on ALL space-based weapons. We don't have to study which ones. It would also prevent the destruction or damage of anything in space that is in orbit. In other words, our satellites that we need to verify what is in space coming in (toward Earth) and what is on Earth so we can see the Earth to reduce and eliminate missiles and nuclear weapons and other dangerous and polluting technologies on the planet. This must be done – we must protect those satellites and they should NOT be used as 'force multipliers' in war games which is the old scenario. But that is happening. Q: WHY DO YOU THINK ADVANCED INTELLIGENCE – ONE OR MORE OF THEM – WOULD EVEN ALLOW THE UNITED STATES OR ANY COUNTRY ON THIS PLANET TO DEVELOP WEAPONS IN SPACE? WHY WOULDN'T THEY INTERFERE BECAUSE IT IS TOO DANGEROUS? From my information, they do not interfere. They will not, however, allow us to take our weapons and toxins into space. They will, however, let the human species do whatever it does to itself. That's the information I've been given and that's what I see happening. I have no evidence myself for this, but I've read that OPCs (Off-Planet Cultures) have shut down the attempt to put operational weapons in space. I have also been given information that they will not interfere with what we do. However, there is a possibility that they would leave if we set off nuclear bombs, nuclear technology, and/or continue with the space-based weapons program. I am moving to Ecuador now, but we have an office still in Vancouver, B. C., Canada and people I'm working with here will continue in the United States. I'll be doing it from Ecuador. Q: BUT, CAROL, IF THE UNITED STATES OF AMERICA HAS ALREADY MILITARIZED SPACE OF THIS PLANET, HOW COULD WE POSSIBLY ACHIEVE A TREATY NOW TO ELIMINATE SPACE-BASED WEAPONS? Because we have not weaponized space. There are not operational weapons in space patrolling us at this time. We have just enough time – that's how – to get a Space Preservation Treaty signed into law. You can see this treaty draft on www.peaceinspace.com. You can also see the companion Space Preservation Act now in 2004 ­ the number is H. R. 3615 that's been introduced into the Congress (by Rep. Dennis Kucinich). Congress in the U. S. and this Administration are not going to produce a ban on space-based weapons. In fact, the next administration might not either, UNLESS we get world leaders to sign the Space Preservation Treaty. That treaty getting signed would put the necessary pressure that we need on the U. S. Congress and Administration. So, the answer is now available to us, we have the bill in Congress and a real treaty to be signed. Q: AND IF THIS DOES NOT HAPPEN, CAROL, WHAT IS THE WORST CASE SCENARIO IN YOUR MIND? In my mind, it's inevitable obliteration of the human species. I believe that is a very possible reality. I think we are very close to it, we are in grave danger from any one of a number of manmade or natural disasters that could occur. Q: BUT CHINA, FOR EXAMPLE, IS GOING TO BE GOING TO THE MOON SHORTLY AND THE U. S. IS CONCERNED ABOUT CHINA AS A POLITICAL FORCE ON THE EARTH. I CAN'T HELP BUT WONDER IF WE ARE HEADED TOWARD TERRITORIAL CONFLICTS ALREADY IN THE NEXT 5 OR 6 YEARS ABOUT WHO IS ON THE MOON. We are headed toward territorial conflicts in space and on the moon. That's the whole point of this in the earth-bound context and paradigm. But China does not want weapons in space. Their leaders have said that for many decades. So has Russia said that. These are the two main space super powers with the United States. Q: THAT'S WHY THE WERNER VON BRAUN STATEMENT THAT THE UNITED STATES WOULD USE AS AN ENEMY'S LIST EXTRATERRESTRIALS IS SIGNIFICANT HERE, BECAUSE WE WOULD THEN JUSTIFY SPACE-BASED WEAPONRY AGAINST EXTRATERRESTRIALS? That we would justify space-based weapons against any country that the U. S. population and government leaders will buy into as long as that scenario holds. By the way, everything that I've just said to you has already been proven to come true. In 1977, I was talking about the fact that there was going to be a Gulf War because I was in a meeting when it was being planned. In 1977! It's one of the reasons I woke up and resigned from my cushy position in the industry. Because there was a certain amount of money in the space-based weapons program that I was told would be in it when they were ready to pulling space-based weapons to test the next phase of weapons. By the way, part of the formula that I didn't mention earlier that is part of the creating the scenario of enemies and wars leading to the potential extraterrestrial threat is that they have to have these wars in order to dump the old weapons, test the new weapons, and rationalize the budgets for the next set of weapons. This is what they educate the public and the leaders about in order to get their next enormous budgets. Notice how in each war, if you track the weapon systems that have been used, they are aiming toward the most advanced weaponry, the most horrific weaponry, that the human species has mostly yet to imagine. But that's what is being tested in each war, aiming at always seizing the high ground and putting these weapons up in space. Because if you put these weapons up in geosynchronous orbit just 22,300 miles above the earth in just three spots in geosynchronous orbit, you hit the whole footprint of the entire Earth. you can control the Earth from that location in just three spots. Imagine what they could do with the highest forms of weapons technology. Q: DID DR. VON BRAUN EVER SAY ANYTHING TO YOU ABOUT THE YEAR 2012 AS BEING SOME KIND OF END YEAR? THAT THERE WOULD BE DANGER IF SOMETHING WAS NOT ACCOMPLISHED BY THAT YEAR? No, he did not ever mention that to me, but what he did say about the timing is that the timing was critical to keep weapons out of space. His timing was with a sense of urgency that, 'Before the momentum of funding vested interests and technology is put into place that is as dangerous as is the deployment of operational weapons themselves, we must achieve a ban on all space-based weapons on this planet.'" How do you speak to a Ball of Light? Alfred Lambremont Webre, JD, MEd – EXOPOLITICS.COM; Institute for Cooperation in Space (ICIS) and author of EXOPOLITICS: Politics, Government and Law in the Universe.